One thing that you cannot escape seeing while in Cuba is what I refer to as Revolutionary Art. 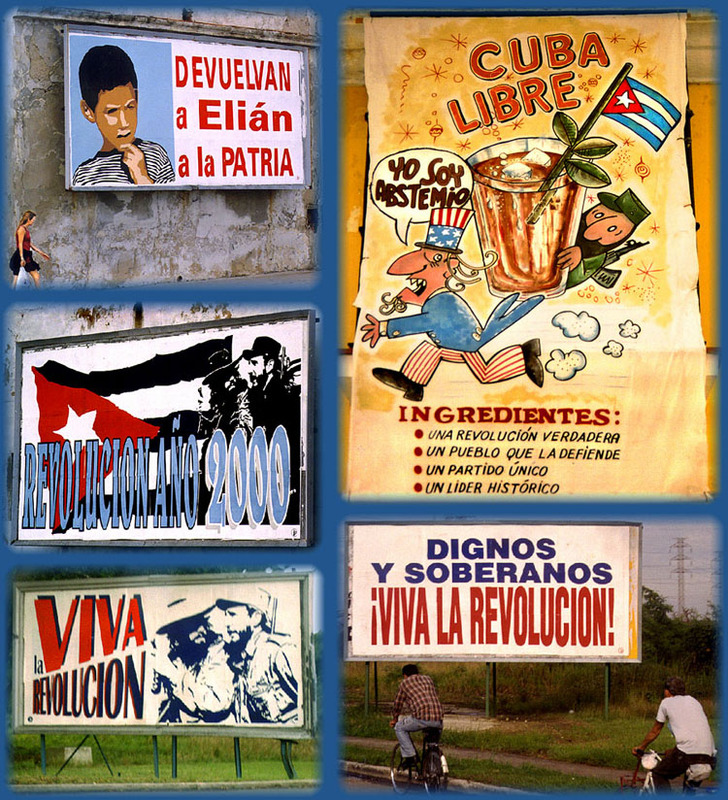 There are many billboards and signs extolling the virtues of the revolution or other aspects of the Cuban system of government. It does strike one as somewhat odd that there is very litle commercial advertising (there is some however) but that advertising is used to promote the revolution. There is also subtle humor as shown in the cartoon at the top right. I find them fun to look and laugh at. Dignos y Soberanos, Viva la Revolucion -- Worthy and Soverign Lives the Revolution. The Cuba Libre (Free Cuba) is a very popular drink in Cuba. Basically a Rum and Coke. However the cartoon sign is a recipe for a Cuba Libre with Uncle Sam running away saying "Yo Soy Abstemio" - I am a Teetotaler. Un Pueblo que La Defiende -- A Town that Defends it.